If you are dreaming of becoming “the Incredible” or at least looking like him, you will have to dedicate more than just some good will to do so. The best way to do this is to work harder than you ever have and apply some special exercises that will break your will, test your limits, and will make you look incredible. Start eating healthier and build your physique in a matter of no time with just 4 exercises. 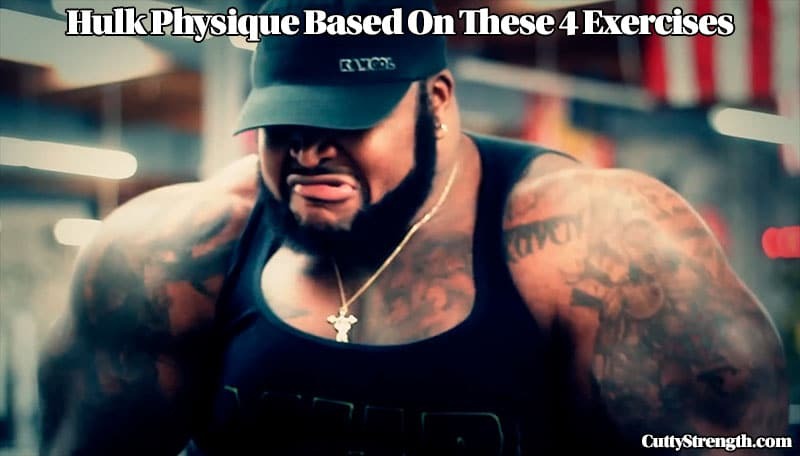 The 4 exercises I am talking about are famous all over the world for their effectiveness; deadlifts, weighted dips, front squats and pull-ups. In the next section, I will give a brief info about each exercise, which muscles it works, and why it is better than others. If you want to add more and more muscles to your lower and upper body, craft an impenetrable force of power and stamina, improve your physique to the very limits of possible, you cannot avoid deadlifts. But what is so special about deadlifting? It is an exercise that starts by strengthening your entire back and all of the adjacent muscles, your abdominal region, your gripping strength, and many more muscles which you didn’t know even existed. It is essential for gaining that core strength all body builders strive towards, and as you exercise, deadlifting becomes more and more essential for your physique. You can start as a beginner, and all you have to do is lift the bar. Yes, this sounds easy and in fact, it is quite easy to start lifting. As time progresses, keep increasing the weight, and eventually you will be lifting more than your own weight. By the time you achieve this, you will be close to your desired hulk physique. Deadlifting is also very applicable to many real life situations, like moving, or lifting the furniture, etc. It is very safe to perform it, without the possibility to get squashed by the weight. Workout regularly, and watch your muscles expand beyond possible. Gain in power, and feel your body strength increase and multiply. This is definitely something to add to your working program, so if you are still having any doubts, get rid of them right away. 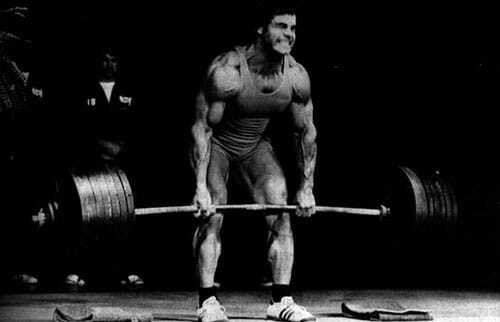 The deadlift is the official master of all exercises. Another exercise that will get you ripped and will transform your upper body into a moving fortress. It is a great exercise for your chest, shoulders, triceps, and also for increasing your muscle size and strength. The exercise itself is hard at the beginning, for it requires a lot of power and strength to lift yourself multiple times. It is all about doing it right: simply stand between parallel bars, start with completely straight arms, descend to the point where your elbows are bent to 90 degrees, and then push yourself back up to the starting point. If you cannot start with a single dip, increase your upper body power, do push ups and pull ups, and once you have enough strength, start with the dips. Eventually, they will become easier to perform, so when this happens, make sure you add some more weight, to keep the process of muscle building going. Now, when it comes to weighted dips, there is just one difference between them and the regular ones: the weight attached. The simplest way of doing this is by attaching a dipping belt, made of strong and thick leather with a chain attached to it. Loop the chain through the center of the weight, and secure it around your waist. The more weight you are able to add, the better, for it is a plain sign that you are bulking up. Continue until you have reached your desired physique. Remember to combine these exercises with the proper nutrition in order to burn all that extra fat. Pre-workout, vitamins and items such as legion quad pack are crucial for becoming the Hulk. If you have any injury or condition regarding shoulders or elbows, this exercise might be extremely difficult for you. Always consult your doctor or a professional before doing the additional weight exercises. Usually, someone will say that squats are the best exercise in the world of body building. That is not far from truth, for this is indeed one of the exercises that give you the most in return. Squats are a part of any lower body training. Missing to add these into your training will result in a weak lower body, and eventually you might end up looking ridiculous. Legs are as important as the upper body part, and try to combine the workout of both the upper and the lower part of your body. Hulking up means becoming a complete monster, and you won’t achieve that only through the upper body workout. Squats should become a part of your everyday routine, and along with building up your lower body, they will increase your stamina. They won’t cause any back damage, and many people get it wrong by thinking that these exercises are back-breaking. Do squats, and do them in the right way. Remember to combine them with other exercises, so that the effect of hulking up is enhanced. Start slow, and increase the training ratio as you go. What squats do to your lower body, pull-ups do to your upper body. Starts with the arms, chest area, shoulders and traps, and in the process, you will transform into a machine with the perfect upper body definition and strength. 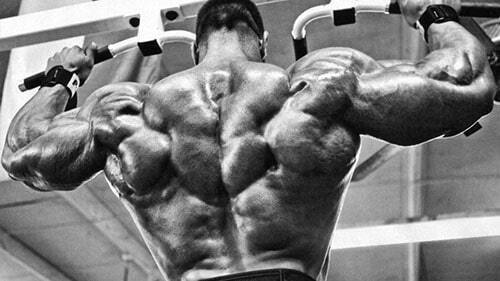 Pull-ups are an exercise used by every body builder for its effectiveness, and fast ripping ability. It can be performed in many ways, and, therefore, the exercise has its variations. The one that we are mostly interested in is adding the extra weight. Simply, like with weighted dips, attach the belt and secure it around your waist. Add as much extra weight as you can carry, and the efficiency of the exercise will keep increasing. The more you can carry, the better are the results. In no time, the Hulk inside you should awaken. Remember to combine these exercises with others previously mentioned, and that the key to getting pumped lies in constant training, combined with a healthy nutrition and proper additions in the form of vitamins and proteins. So make sure to stay on a proper workout diet, and use all the food supplements required for a proper and maximized workout effect. Each exercise is good in its own way, but achieving the wanted results requires a lot of will power, hard work and dedication, but most of all, a way of combining all those exercises together into a proper workout. This is an outstanding routine by its self ! Total body workout for strength size an real world applications . You’d be surprised how much progress people have simply by doing a few major compound lifts and doing them right. I am following up with my progress report. First, I cannot say this enough, your website and content has been a huge and positive influence on my training. I come here often to read articles and get motivated. I am still following the program and continue to make excellent gains in strength and physique. The only other thing is that I have added push ups using resistance bands for 2 quick sets. Your program, exactly as you outlined is near perfect, especially for combat athletes to enhance their strength requirements. The boxing or heavy bag punching is a great cardio style workout for the guys who lift and have the muscle and strength that you have. Quite honestly, as far as skill for self-defense, my personal opinion is that someone like you, who adds some bag boxing training to their training is just as skilled and capable as a smaller trained Martial Artist(karate, kickboxing, etc). Size and strength matter when it comes down defending. Thanks for the update! Thank you for the kind words and I’m glad to hear things are going well. Bodybuilding, lifting, and any athletic sport can all be intertwined to me. You are learning how to utilize your body to accomplish something. The lifting side of things teach you how to isolate muscles, move and get stronger, and make your nervous system more powerful. Having athletic skill and genetics help, but there’s a lot to come from someone who can control every inch of his body and has a general understanding of nutrition. Keep checking back, new looks, articles, and many new things coming. It’s been awhile, but here’s my update. Now doing chins with 25lb plate, 60lbs for dips and front squats kind of light(150lbs) because of the kick work in Muay Thai workouts. Chins and dips 4 good sets rep range 8-12 and my goal is to keep adding weight. The workout takes me 45 minutes as I do a 10 ab warm-up and some light stretching at end. Weight jumped to 195 now and I’m 5″8. The simplicity of the workout has kept me at it consistently. I can’t thank you enough for turning me on to these exercises. Other guys I do the Muay Thai with are doing more weighted exercises and have to struggle to do the workouts. This one has increased my strength, muscle, and enhanced my punch/kick power. It’s all about power in Muay Thai. Power and agility so I’m glad to hear things are going better with your training. 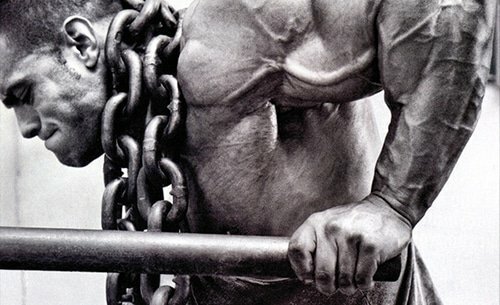 I’d invite you to train one week of the month focusing on power. Take the weights you are usually using and cut them to 50 or 60% and produce maximal power as if you were hitting your 1 rep max every rep.
Training your nervous system to produce more power is all about your body becoming more efficient. Do you have any videos of your Muay Thai training or anything I could check out? I have always been fascinated by the discipline and power that they teach.